Ten years ago in Georgia, I met a guy named Colin Hyde. I was standing there with my 1973 Airstream lined up with the other vintage Airstream people, minding my own business. We were prepping to caravan in to the 50th annual Wally Byam Caravan Club International's meetup. Many hundreds of Airstreams converge each year at different locations for this event. They still do it today. This year's will be in Michigan. The next thing I know, as I stood waiting in line, Colin is laying on the ground inspecting the underside of my trailer. He informed me that I needed new axles. It had never occurred to me that it was an issue. I was living full-time in my Airstream and had more than 4,000 miles on my trailer by that point and hadn't noticed anything amiss as I rolled down America's highways and byways. And yet meeting this guy Colin, he almost immediately convinced me I needed new ones and before I knew it I had driven to his shop in Plattsburgh, New York--way up north, not far from Montreal. I got my axles replaced. There was something hypnotizing about Colin's manner. I never doubted him. In production year 1961, Wally Byam, the founder of Airstream switched all new Airstreams to torsion axles. He did this after leading a caravan across Africa from Capetown to Cairo. 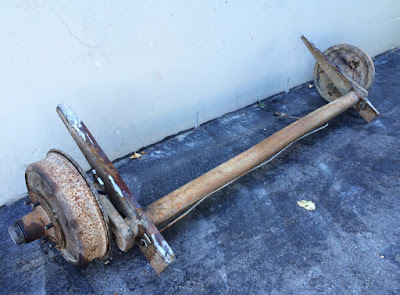 Prior to '61, Airstreams had leaf spring axles which I am familiar with from farm equipment my family has had over the years. 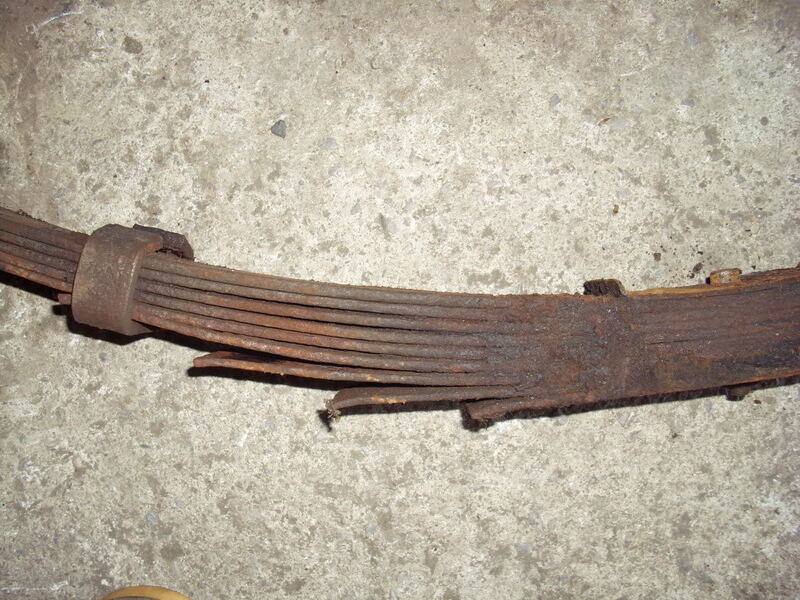 Leaf spring axles date back hundreds of years and are still used today in some heavy trucks, SUVs, and a variety of vehicles and trailers--though not too often in modern travel trailers. During the 1959 Capetown to Cairo caravan, Wally Byam had torsion axles on his Airstream. This was experimental technology for Wally and Airstream though torsion axles date back to at least the 1930s. Wally had no problems on that epic 1959 trip, whereas many of the other people in the caravan had all sorts of problems with fractures and breakdowns in their leaf spring axles. Hence the switch for 1961. My new-to-me 1962 Airstream Safari had its original torsion axle. With the Colin-embedded-in-me fear of old axles, a new axle was high on my list for my newly acquired trailer. But why? Torsion axles provide the suspension for the trailer (most Airstreams also use shock absorbers to reduce bounce). When you buy any old trailer the old axles often still work, but they don't work as they were designed. With no suspension left in the axles you drag your trailer around and it feels every bump and gets bounced all over the road. For Airstreams, rivets can--and do--pop out. The body can become separated from the frame. Appliances and built-in furniture take a beating. All of this is really, really bad for a trailer. The worst case though is axle failure including a wheel flying off--which is especially bad on a single axle trailer like my 1962 Airstream Safari. In the case of my Safari, when I first brought it home it bottomed out on my not very steep driveway because the arms in the torsion system had collapsed. So a new axle was coming my way. 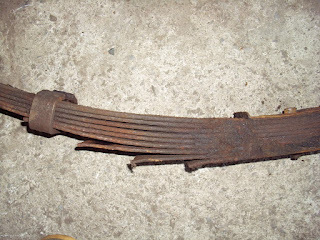 Here's my original axle which we had to cut off since it was welded on. On later models the axles were bolted on which meant much less work in switching them out. As you can see I'd attained the negative angle on my torsion arm. As a result my trailer rode lower and had no suspension. It's now got a positive angle again which you can see will raise the trailer and give it suspension. With this system each tire has independent suspension and the trailer enjoys a smooth ride. So thank you Colin for putting me under your spell and making me a believer in the value of updating my axle. Thanks to my new amigos at Camper Reparadise here in Salt Lake City for doing the hard work of removing my old welded-on axle and installing a new one. 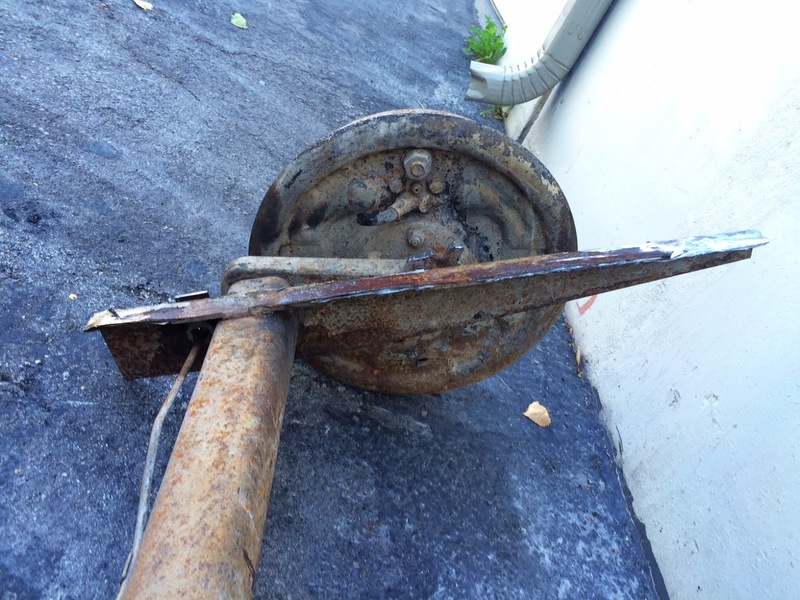 A special shoutout to Airstream/vintage-trailer enthusiast and Chad of Camper Reparadise who cut off the old axle. Thanks too to Evan for welding on the new one. You can follow Chad here on Instagram, he's a true craftsman who loves his work and does an excellent job of showing his work in photos. Click here to follow Camper Reparadise on Instagram (they do amazing work!). If you are back east, look up my friend Colin Hyde who you can also listen to and get tons of great vintage trailer advice from on the Vintage Airstream Podcast (the VAP). There, you too can experience his mesmerizing voice! I didn't attempt to explain why torsion axles don't last--it has to do with the rubber used in them. Andy discusses that in more detail (see link above). One thing Andy doesn't come out and say in his article is that all torsion axles are at or near the end of their life after about 20 years. 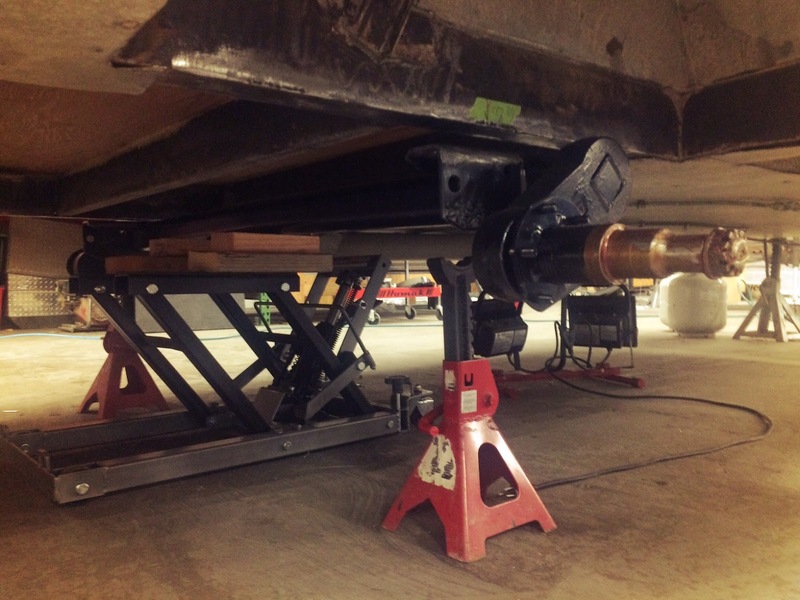 That doesn't mean they'll outright fail, but they are no longer performing as designed and your trailer will pay the price if you drive with older axles. I have a 1965 zipper manufactured in Clinton, SC. My son-in-law did a 90% rebuild it in 2010. The kitchen was OK. Had leaf springs replaced. Originals were long new very short. Had to install an anti-sway bar. Question? Where can I get original springs. ?